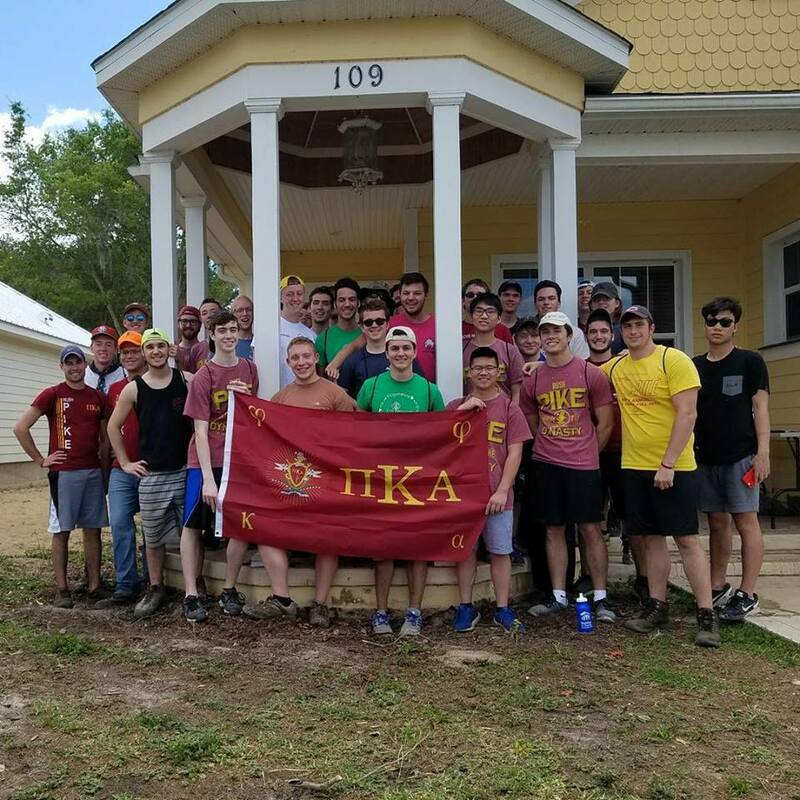 The Iota Delta chapter of Pi Kappa Alpha (Pike) at Rose-Hulman Institute of Technology is actively working to raise awareness for the fight against breast cancer. 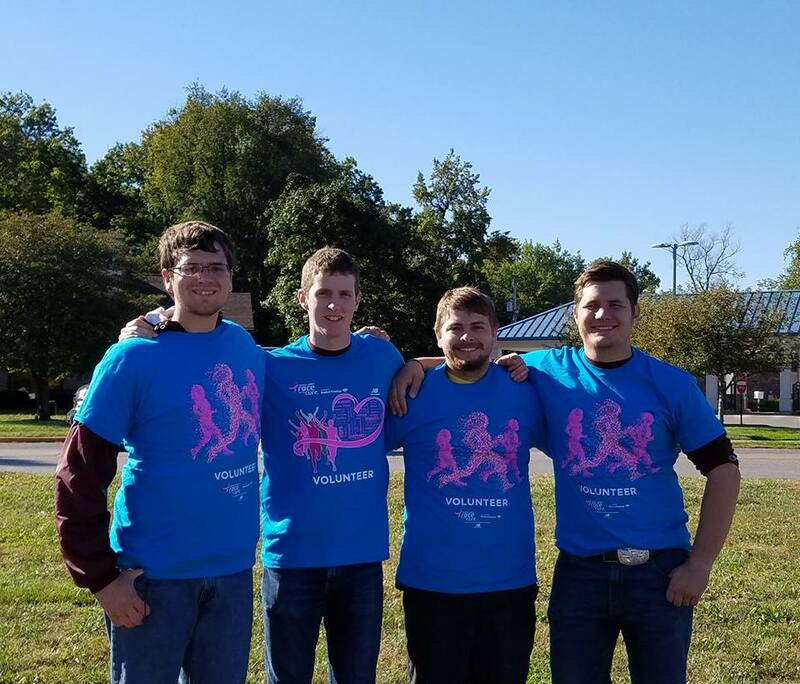 Brothers of the Iota Delta chapter wake up early each year to be a part of the Wabash Valley Race for the Cure. In fact, the Race for the Cure in Terre Haute is one of Iota Delta’s largest community service events in the fall. The chapter members arrive at the Race location bright and early, ready to help out any way they can before the event begins. “The brothers who volunteer are essentially Swiss Army knives for the day,” explained Community Service Chairman Logan Fenimore. Their volunteer duties include moving tables, decorating tents, handing out water, directing parking and helping tear down the site once the Race is finished. Most recently, the fraternity volunteered for the Susan G. Komen Breast Cancer Awareness night on July 15th at the Terre Haute REX baseball game. Fans, volunteers, and baseball players alike represented Komen and the fight against breast cancer by wearing pink throughout the night. Members of Pike manned a registration table, solicited and collected bids for a pink bat auction, and collected donations for Komen throughout the night. The Pike brothers continue their relationship with Komen because of the gratitude and happiness they feel when they contribute to the mission to end breast cancer. Through their volunteer work, the fraternity men recognize how many people are affected by breast cancer and have been educated on the matter. As a result, the brothers have learned to help spread awareness and lend a helping hand wherever they can. “We have consistently sent brothers to volunteer at Komen events, and we will continue to do so until the fight to end breast cancer has finished,” said Fenimore. Brothers from the Iota Delta chapter will be in attendance at the upcoming Wabash Valley Race for the Cure on Saturday, October 7th. Registration is now open! Interested in getting involved as a volunteer? Learn more about opportunities and how to get started.